100% Iberian breed loin, black label. Iberian acorn loin is made from a special cut from the pig. Before being stuffed into its casing, the meat is seasoned. 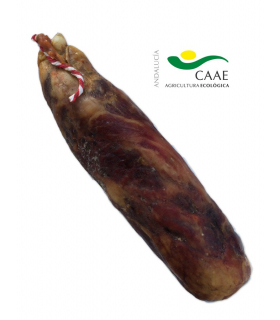 This product, approximately 50cm long, is eaten in thin slices. 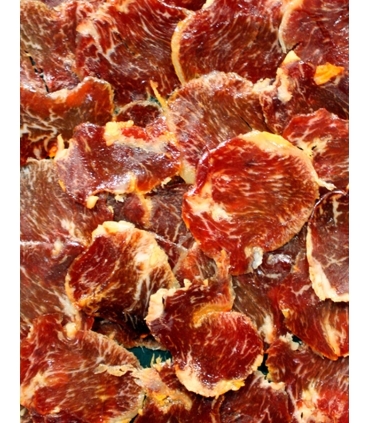 The loin, also called "caña de lomo" is the most sought-after part of the Iberian pig, after the ham. It is seasoned and allowed to cure for about three months. 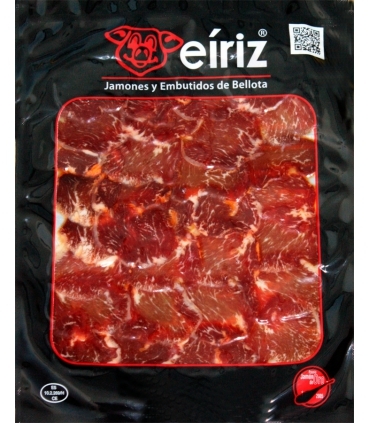 Eíriz, a family business that makes all their products by hand, pays special attention to the manufacturing of these pieces of meat. This meat comes from 100% Iberian pigs, fed with acorns of holm oaks and cork oaks. This is known as Pata Negra. Store in a cool, dry place. 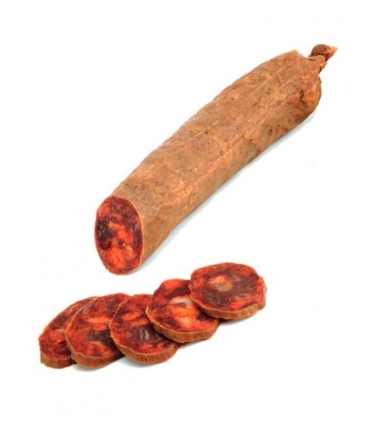 To eat loin sausage, cut into fine slices and serve at room temperature. Vacuum packaged product. Whole piece of 500g or 1kg. Also sold pre-sliced in our online store: Sliced Iberian acorn loin sausage. 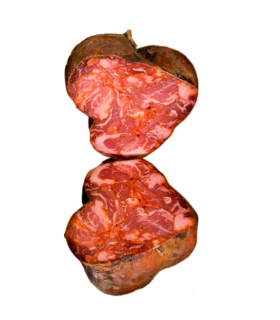 ce lomo est sec juste ce qu\'il faut et savoureux, peut-être gagnerait-il a être un poil plus relevé.